The Fair Lawn Police Detective Bureau is comprised of 10 Detectives. The “Bureau” as it is known with the Department is responsible for investigating a wide range of issues within the Borough of Fair Lawn. Detectives assigned to the Bureau investigate all crimes reported to the department. 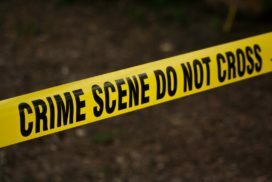 Some of the more common type of crimes our Detectives investigate our Thefts, Burglaries, Robberies, Fraud, Narcotics, Sexual Assaults, and Juvenile Investigations. Some of the other functions the Bureau is responsible for is conducting background investigations for police applicants, firearm purchase permits, and conducting Internal Affairs Investigations. 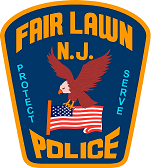 To see the 2018 Fair Lawn Police Department Annual Internal Affairs report, click here. To read the FLPD drug testing policy in accordance with Attorney General Directives, click here. The FLPD 2018 Annual Drug Testing results report is available to read here. The FLPD Early Warning Intervention Policy is available to read by clicking here. The Detective Bureau is also responsible for mandated yearly department wide training, and is in charge of the School Resource Officers.